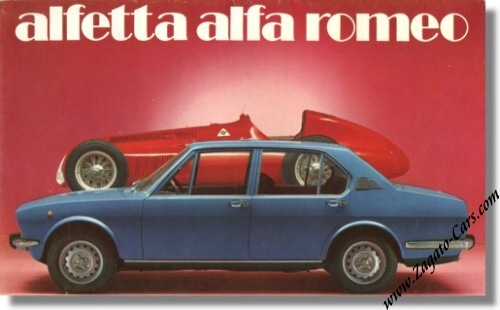 Vintage April 1974 sales brochure for the Alfetta 1.8. This is a sales brochure that measures some 9.5 x 6 inches (or 24 x 15 cm) and folds open to some 19 x 12 inches. Print reference: 744 E 221, printed by Ripalta, Milano, Italy.